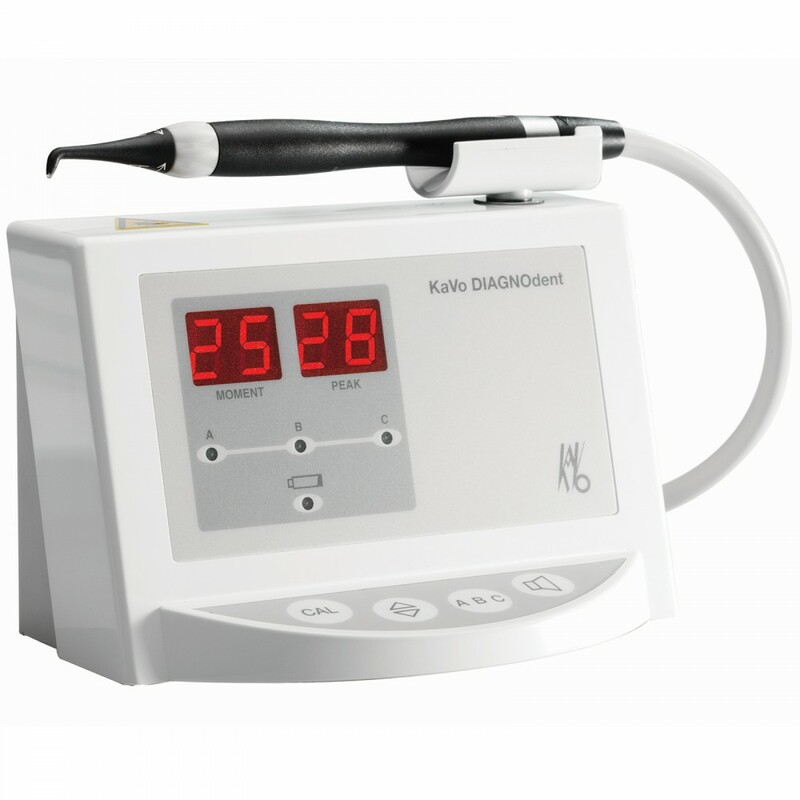 DIAGNODENT® technology uses a laser diode to detect density changes in hard dental tissues. This light beam is directed on the tooth enamel or dentine to detect the presence of any weakened surface. This technology serves multiple purposes. For example, it is used by the dentist to detect the presence of emerging cavities on the occlusal surfaces (chewing surfaces) of the teeth, which are often difficult to see with the naked eye. It also allows the dentist to differentiate between a tough stain on the tooth surface (demineralization or food stain) and a cavity. This technology is used as a diagnostic aid by the dentist but cannot be relied upon as a sole method of testing for tooth decay. False positive results can occur from time to time. This is the case, for example, in the presence of soft dental plaque or restoration materials on the surface of the tooth. Only a dentist can make an accurate diagnosis. DIAGNODENT® must be used only in conjunction with the conventional methods for diagnosing tooth decay. Once the diagnosis is made by the dentist, the proposed treatment will vary depending on the situation. The stains will probably be monitored or treated with a tooth remineralization protocol. The deep grooves of the cavity-free adult teeth will be protected by pit and fissure sealants (if considered at risk of developing a cavity). The caries will be repaired at an early stage using composite resin (white filling) and minimally invasive dental procedures. By detecting and treating cavities early in their development, it is possible to save the maximum amount of tooth structure.